St-Pierre returned to the promotion for an immediate shot at Michael Bisping’s title at UFC 217 in November and left Madison Square Garden as a two-weight world champion. “So many people have come out and said how wrong this was, and he never should’ve come in the first place. I’m not really sure where that comes in. First off, it was a monumental fight, did monumental business. It was very meaningful. It was an extremely big achievement,” Sonnen said. “As soon he had that hope gone, or said ‘look, I want to be in a different weight class, or retire’ or whatever Georges wants to do, instead of jamming everything up for an extended period of time, like everybody else would’ve done — collected that money, kept that belt around him, gone on Sports Center, cut the interviews and lived the life — he gave it back. 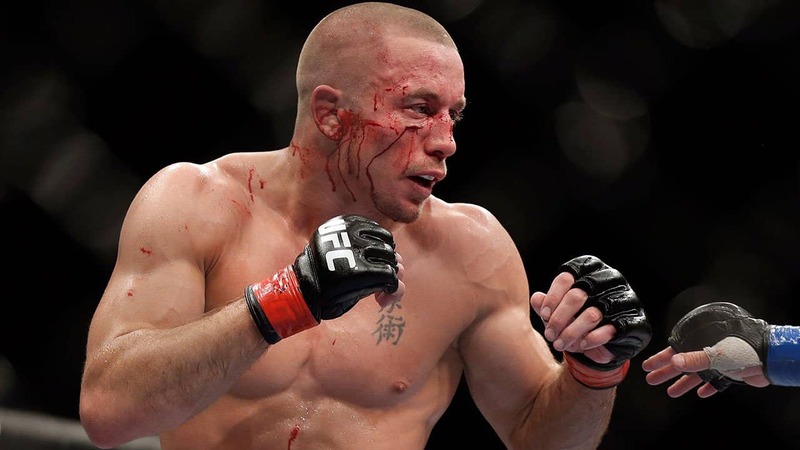 In the latest UFC rankings, Georges St-Pierre slipped three places to #3 in the middleweight rankings. Robert Whittaker now leads the 185-pound division having been promoted to champion following GSP’s relinquishing of the title.